Theodore Roosevelt was the President of the United States. Henry Ford set a new automobile land speed record of 91.37 mph and Cy Young of the Boston Americans pitched the first perfect game. 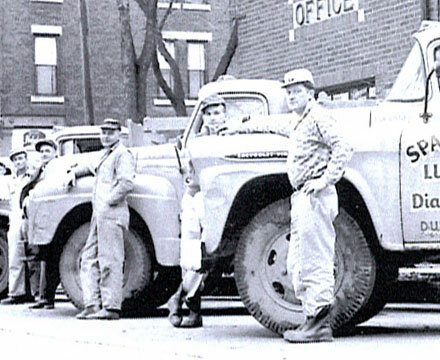 The year Spahn & Rose started it’s history in the lumber and building materials industry. 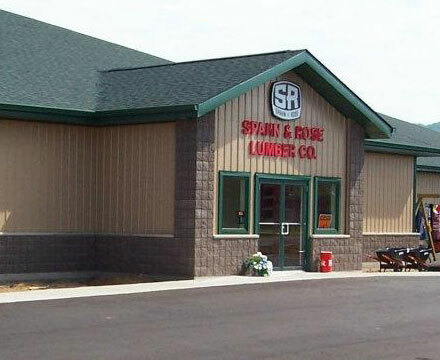 Spahn & Rose Lumber Co. was organized in 1904 as a retail lumber company with the express goal of providing knowledgeable staff, excellent service & a superior-quality product mix. Since 1904, the same core values hold true. We are dedicated to providing the resources that hit the nail on the head for your home-building & improvement projects. We are the best of the best! 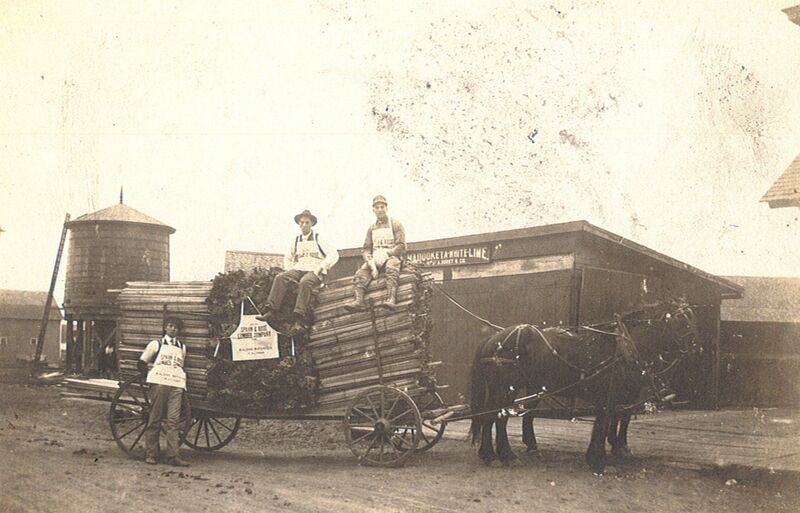 The Spahn & Rose Lumber Co. received its charter from the State of Iowa, January 24, 1904. It was incorporated by Mr. J. C. Collier, Mr. C. J. Spahn & Mr. G. D. Rose in a meeting on January 30, 1904. They immediately elected Mr. J. T. Adams & Mr. J. T. Carr to the Board of Directors. Mr. Rose was 25 years old & Mr. Spahn was 32 years old at this time. On March 10, 1904, the group purchased the Citizens Lumber Co. of Minneapolis, Minnesota. There were nine yards involved: Waverly, La Porte City, Baxter, Parkersburg, Sinclair, Williams, Webster City, Sulphur Springs & Storm Lake. 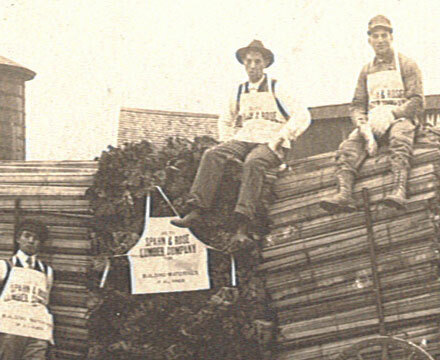 Mr. Spahn & Mr. Rose handled the day-to-day operations of the business that bore their names while Carr, Adams & Collier focused on their sash-and-door mill company, to be known later as Caradco. The primary products & services offered at that time were lumber, millwork, wood shingles, wood lath, nails, bricks, lime, plaster, wood posts, barbed wire & coal. 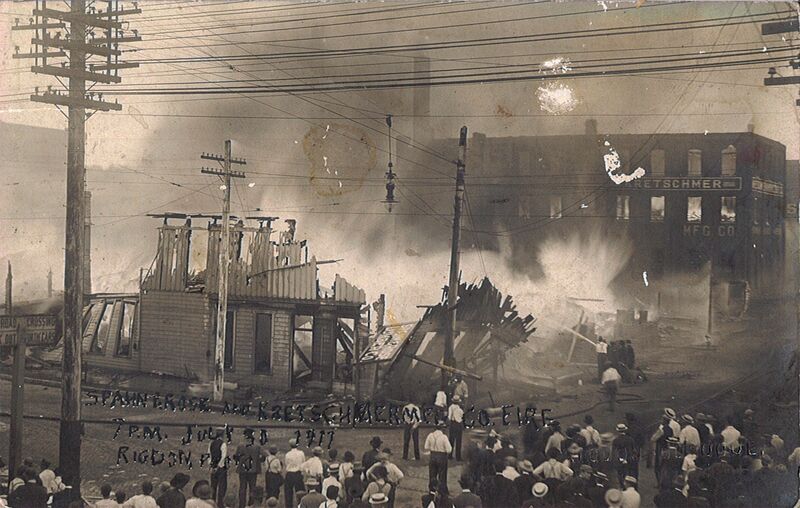 In 1911, the main yard in Dubuque & the Corporate Office suffered a devastating fire. But giving up wasn’t an option for the men who founded the company. 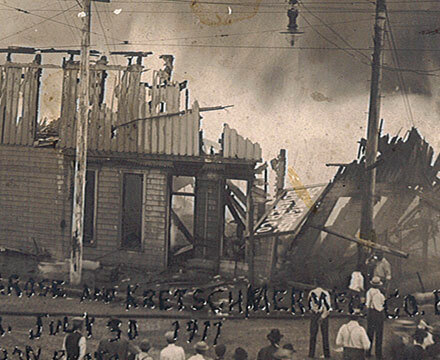 Spahn & Rose then built a new lumberyard at 11th & Jackson Streets, where the store remained prior to moving in 2015. 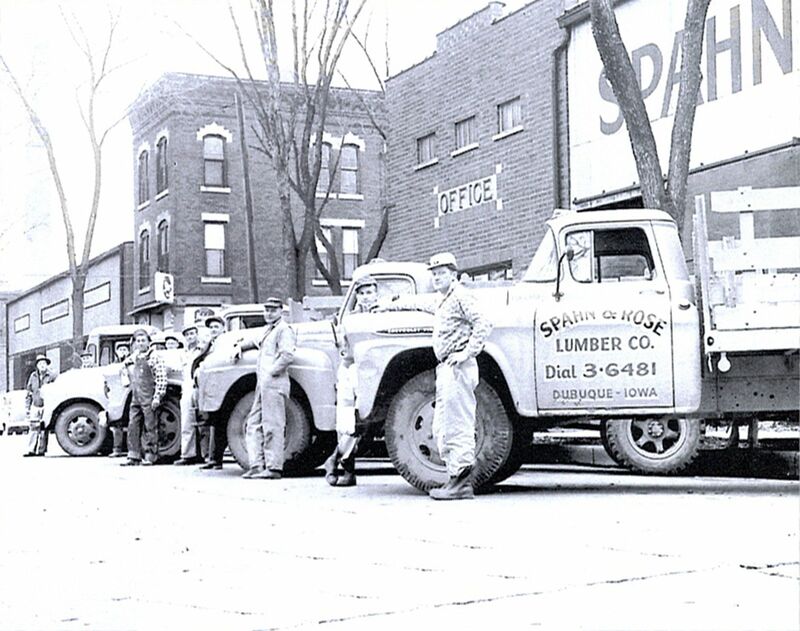 Spahn & Rose Lumber Co. was born before two world wars, survived two national economic calamities & has seen plenty of historic cultural events. Spahn & Rose has witnessed a lot of changes, inside & outside of the lumber trade, but the core beliefs that built the business remain the same: Quality products & quality employees. As the Midwest grew, so did Spahn & Rose. At one time, there were 42 lumber yards bearing the Spahn & Rose name. With improvements in transportation, smaller operations were consolidated with nearby yards to be more efficient. The year 1950 was the close of an era. All the organizers & original stockholders had passed & the second generation took over: Mr. C. J. Spahn was President; Mr. P. Adams, Vice President; Mr. R. H. Collier, Vice President; Mr. H. W. Nielsen, Secretary; & Mr. D. I. Meyer, Treasurer. 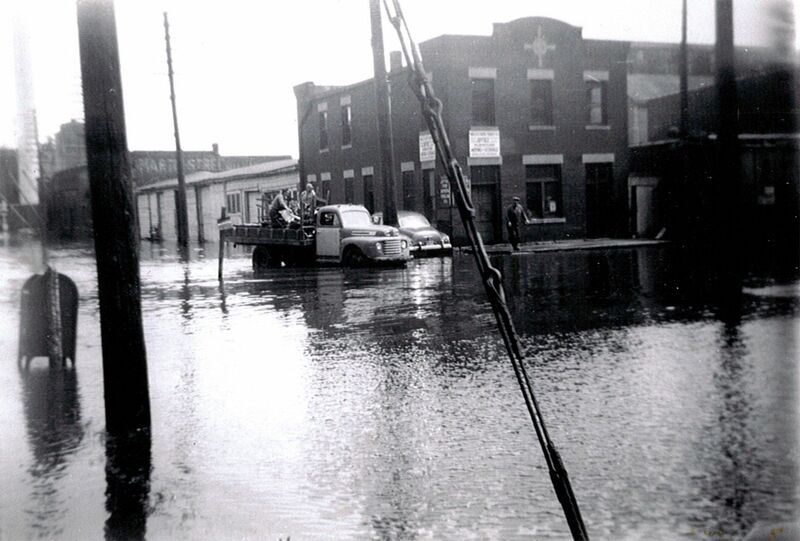 In 1951, a major flood hit downtown Dubuque, closing the Spahn & Rose General Office. As technology improved, so did our need for upgrades. 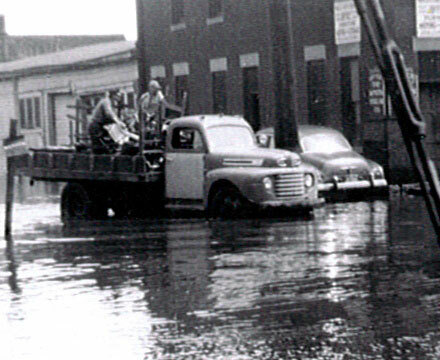 Spahn & Rose renovated many of our locations, relocated some to new buildings & opened more locations in new communities in the second half of the century. 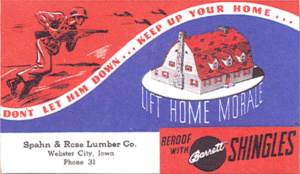 At one time Spahn & Rose was in the ready-mix business & dabbled for over a decade in modular-home construction. Those units were eventually sold. The Spahn & Rose operational blueprint has always been small markets. Dubuque is as big as it gets. It’s a matter of the right fit, & smaller lumberyards remain the heart of the business. That is what we do best & is obvious in our longevity. Lumber generates a big number for Spahn & Rose, but our products include construction materials ranging from drywall, millwork & cabinets to insulation, roofing, siding & paint. When the big-box retail concept caught fire in the 1980s, Spahn & Rose felt the temptation to follow but resisted. It comes down to what we do best: quality. Spahn & Rose is a closely held corporation under the active management of third & fourth-generation shareholders of the company’s founding families. After Chuck Spahn’s sudden death in January of 2002, John Hannan was named President of Spahn & Rose, making him the first non-family president in the company’s history. After nearly 108 years in the Millwork district, the Dubuque Retail location outgrew its facilities and built the new 28,000 square foot building to reach beyond the store's traditional contractor base and cater to needs of the homeowner customer. The move to the new neighborhood allows for more displays and hands-on, accessible demonstrations. 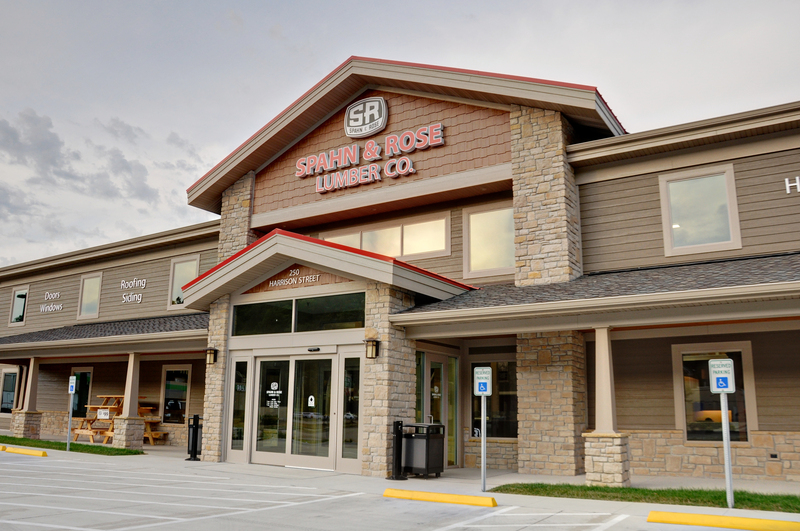 Today, Spahn & Rose has 24 retail lumber and building material stores in Iowa, Illinois & Wisconsin, as well as a lumber-distribution facility in Independence, Iowa. Lumber arrives by rail & truck, & is then shipped to the individual yards. Our product line has expanded significantly to include engineered lumber, fiberglass insulation, drywall, siding & a much larger variety of woodwork including cabinetry & flooring, hardware items & much, much more. There’s something to be said for tradition. 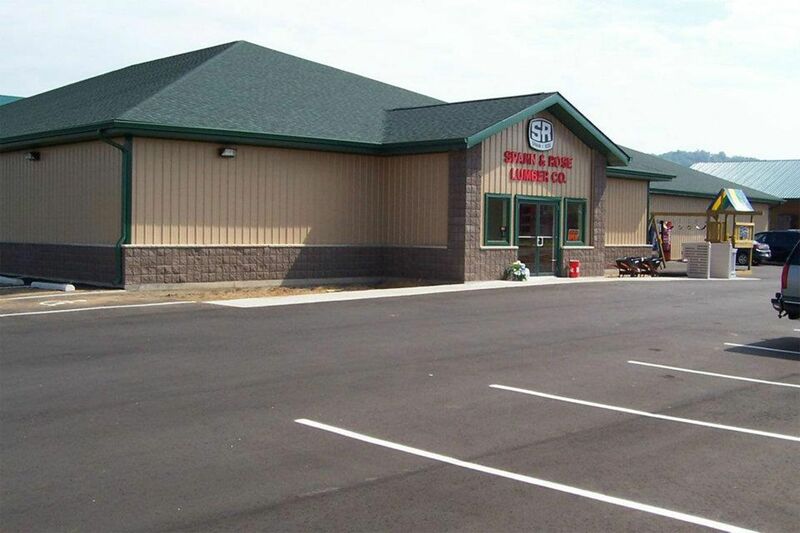 Over the years, Spahn & Rose Lumber Co. has relied on time-tested methods of doing business, focusing on customer needs & delivering products & services that generate long-term trust & reliability. So what’s in our future? More of the same. We’ll continue to deliver innovative products & strive for the highest levels of quality in all aspects of our business. That’s been our objective since 1904 & will continue to be through the next 100 years.